Your baby is unique. And their sleep patterns are too, unfortunately! There's lots of guides on how to get your baby to sleep, most of them siding with one of several methods championed by baby experts. But what's right for your baby? 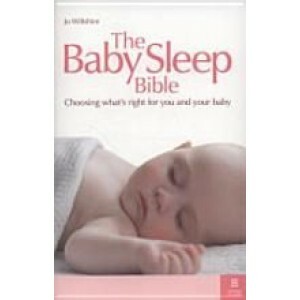 The Baby Sleep Bible will help you find the best solution for you and your baby. It provides you with a balanced view of the various approaches to baby sleep, and helps you decide which will work for you. This book recognises every baby is unique, and it's up to you as parents to discover what will work for you. A great baby shower gift or gift for new parents.